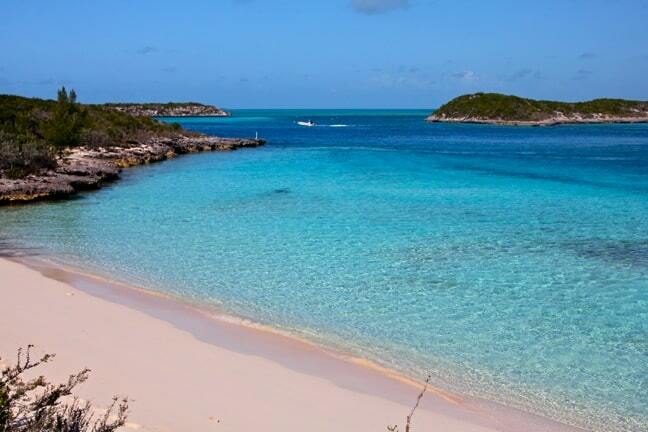 To say that the 2-square mile island of Staniel Cay is tiny would be an understatement. 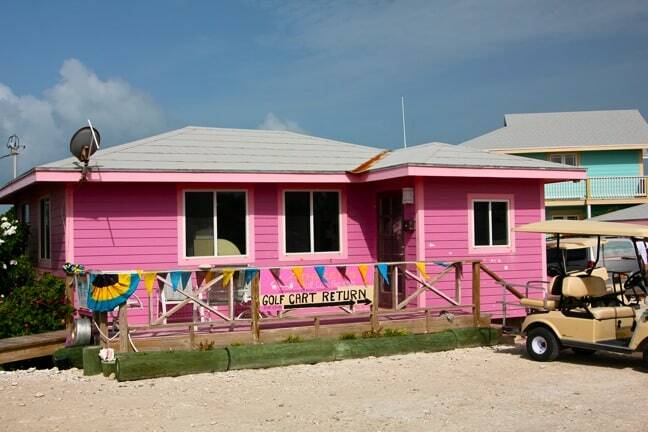 With a population of just 110, Staniel Cay has had just one resort, one main restaurant/bar, and one marina for over 50 years now. But with the ongoing construction of the new Embrace Resort, that’s all about to change. Located in the Exumas, this sleepy island is best known as a filming location for the 1965 James Bond film Thunderball. A mainstream tourist mecca this is not: Aside from picturesque Thunderball Grotto and the famous swimming pigs of Major Cay, there’s not much here to draw the cruise ship crowd. There’s no duty free shopping. No chain restaurants. No golf courses or spas. Nothing but the exquisite natural beauty for which the Bahamas are known. In short, it’s a potentially perfect ecotourism haven. 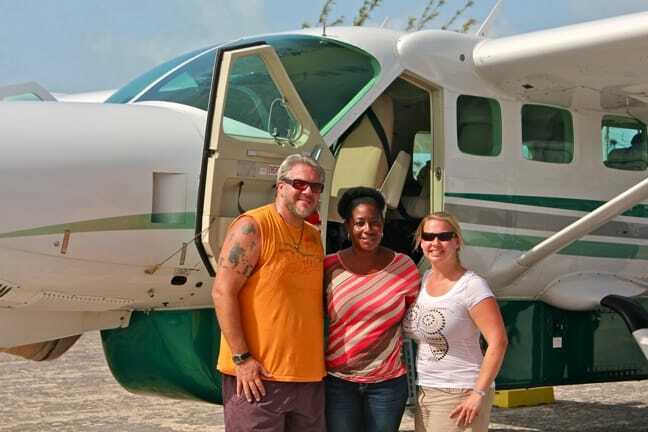 Nikki Ferguson– a native of Staniel Cay and a relative of Captain Rolly Gray (a local legend in the sport of sailing)– sees endless potential for ecotourism in the Exumas. Which is precisely why she’s working with her daughter Natajia to build Staniel Cay’s first sustainable resort on her family’s ancestral lands. The resort’s name, Embrace, is an acronym, with each letter representing one of the Bahamian islands (Exuma, Mayaguana, Bimini, Ragged Island, Andros, Cat Island, Eleuthera). When completed, the resort will feature seven villas of various sizes, each one symbolizing a different island and highlighting their unique character. Andros, the largest villa, features three bedrooms, two stories and an impressively modern kitchen. Bimini, the villa in which we stayed, has two bedrooms bathed in aquatic hues, with décor rooted in the island’s fishing heritage. The Exuma villa, which was about to begin construction when we visited, will feature memorabilia paying tribute to Rolly Gray’s life. The goal is for guests to learn about Bahamian history and culture, and to recognize the distinctive flavor each island possesses. 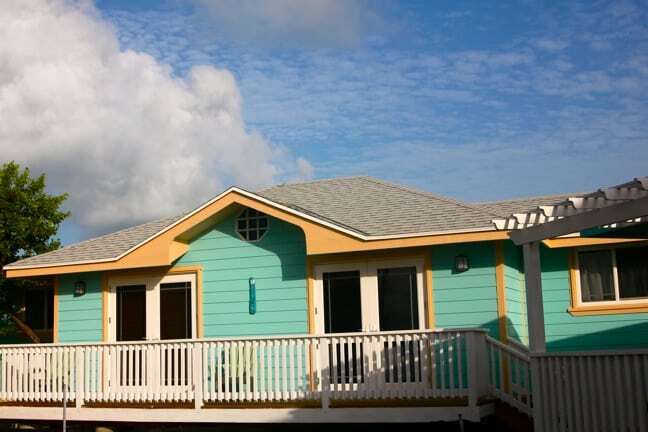 Designed by architect Gary Johnson, with advice from sustainability consultant Denaye Hinds of OBM International, the colorful villas are being constructed from pressure-treated pine and feature low-to-no VOC paints and dual flush, low water toilets. The construction crew is all native Bahamian, and all of the décor elements are being sourced locally, made from stuff like old fishing nets and found driftwood. 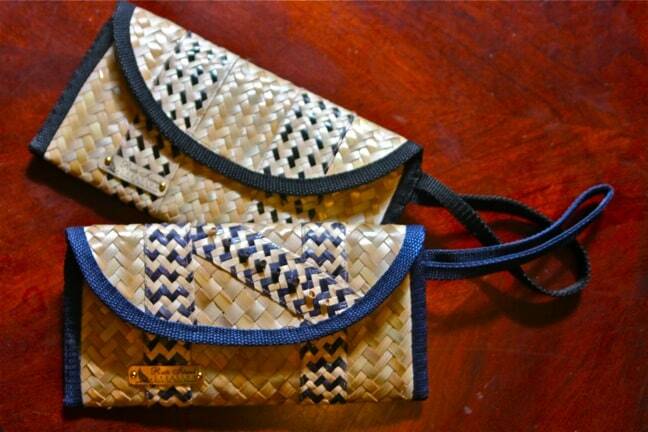 When we arrived, our cozy Bimini room featured a batik sarong hand-made in Andros, as well as gifts such as coconut bread, and hand-woven clutch purses by Staniel Cay’s Ruth Island Creation. Some of these items are available for purchase in the reception area, which will eventually feature a much larger gift shop. Ferguson’s plans for Embrace Resort are impressive: By the official grand opening next year, its boutique-style offerings will include a full-service restaurant focused on Bahamian cuisine, a gazebo for weddings, a pool, and the island’s only fitness center, meeting space, and spa. An outer fence will provide an air of intimacy, with native plants used to create the feeling of being in a lush tropical garden. Perhaps more importantly, the resort will provide jobs for 24 employees, more than 20% of Staniel Cay’s population. Embrace will also be working with organizations such as Cans For Kids, Go Green Bahamas, and the Exuma Cays Land & Sea Park to host events for locals, educating them on sustainable tourism, recycling and waste management in hopes of nurturing a more eco-friendly community. If anyone can do it, it’s Nikki (who, along with Natajia, also runs 3N’s Vacation Services). Strong, smart, and quick with a smile, she seems to know everybody in the Exumas. Her grandparents’ house, the oldest on the island, is now a small museum devoted to Staniel Cay history. Her father helped put the original pigs on Major Cay decades ago. 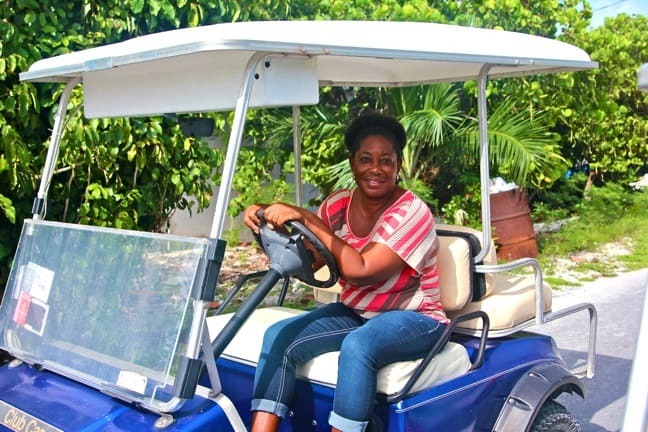 So, whatever you need in Staniel Cay– from a golf cart for putting around the island to a luxury yacht rental– she’s the person who can help you get it. As we learned on our last night in the Bahamas, she’s also an amazing cook, serving up scrumptious grilled conch, fish and lobster with vegetables, the mere memory of which makes my mouth water. Unless you’ve been to a tiny island like Staniel Cay in a developing region like the Exumas, it’s difficult to understand the incredible long-term impact the development of a boutique eco resort will have on the area. Aside from giving travelers an option other than the stodgy Stanley Cay Yacht Club where they can eat/drink/stay, aside from giving locals a place to work (and socialize), aside from building a community understanding of sustainability, Embrace Resort will also be the island’s first Bahamian-owned hotel, from the first female entrepreneurs in Staniel Cay’s history. With Embrace, Nikki Ferguson and her family are trying to lead the way towards a brighter, more sustainable tourism future for the southern Exuma islands.